When it comes to communication equipment, Over & Out is the team to call. 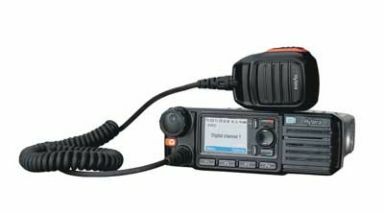 We have a range of solutions including CB radios, two-way systems, vehicle mounted mobiles, handheld portables, fixed-base stations, and more. Whether you need communications for your truck, home, or business, we can help. If you need to consult with a professional, we also offer advice and design services. Create a communications solution that perfectly meets your needs with the help of Over & Out, Palmerston North's trusted provider of radio and communication systems that meet the highest quality standards. Our experience and high-tech expertise allows us to work closely with our customers. We will provide you with the best communication equipment at fully competitive prices. Speak to us in Palmerston North today for more information. Over & Out stocks reputable brands and quality products. One of our dedicated team members can provide you with the advice you need to select the right products from our great range to suit your needs. At Over & Out you're sure to find a suitable solution for all of your radio and communication needs. At Over & Out we take pride in great service before, during, and after purchase. We're always available to answer any questions you might have. We strive to ensure you understand how your communication equipment works and how to use it most effectively. Our friendly team at Over & Out in Palmerston North has the patience and understanding required to communicate all the information you need.